Dr Steve Swanson, Director of the Sport Business and Leadership MSc programme, recently had the opportunity to attend the Toronto Raptors training camp in Vancouver, Canada. The Toronto Raptors are a member of the National Basketball Association and are currently preparing for the 2018-19 NBA regular season which begins later this month. This season will be the first as Head Coach for Nick Nurse, who served as an assistant coach for the Raptors over the past five seasons. 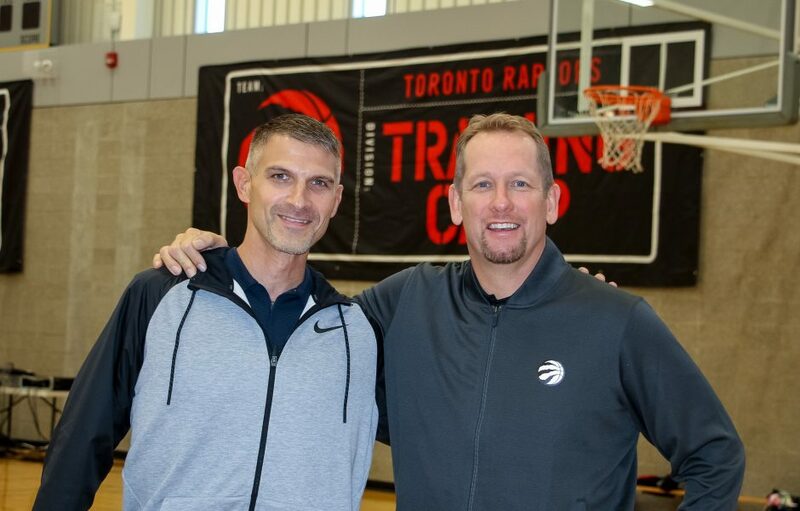 Dr Swanson was an invited guest to the Raptors pre-season training camp in Vancouver, BC, and attended training sessions and staff meetings to learn more about the organisation’s dynamic culture and cutting-edge practices. The project is part of ongoing research in the Institute for Sport Business on innovative cultures in the sport environment. Dr Steve Swanson, Professor James Skinner, and Professor Aaron Smith have recently published a book entitled ‘Fostering Innovative Cultures in Sport’.